VADM (Ret.) 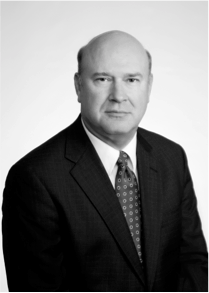 Lou Crenshaw served as the Survey Director of the annual American Society of Military Comptrollers (ASMC)/Grant Thornton Survey of Defense Finance Officials from 2008 until 2013,producing six comprehensive surveys of senior DoD Financial Management Executives and ASMC membership. HJS is proud to continue to support the ASMC survey with Lou’s continued involvement through an arrangement with Grant Thornton. These surveys are recognized throughout the Defense Financial Management (FM) community as the authoritative source of current trends, issues and challenges facing the professionals who manage the DoD budget. These surveys collected information from thousands of ASMC members over the years. Perhaps the most important aspect of the surveys was the person-to-person interaction with senior executives and Flag and General Officers throughout the DoD FM community, providing unique perspectives and candor not usually seen in surveys of this type. Please feel free to browse and download the surveys.